Official Announcement for the New Orleans Jazz & Heritage Festival! 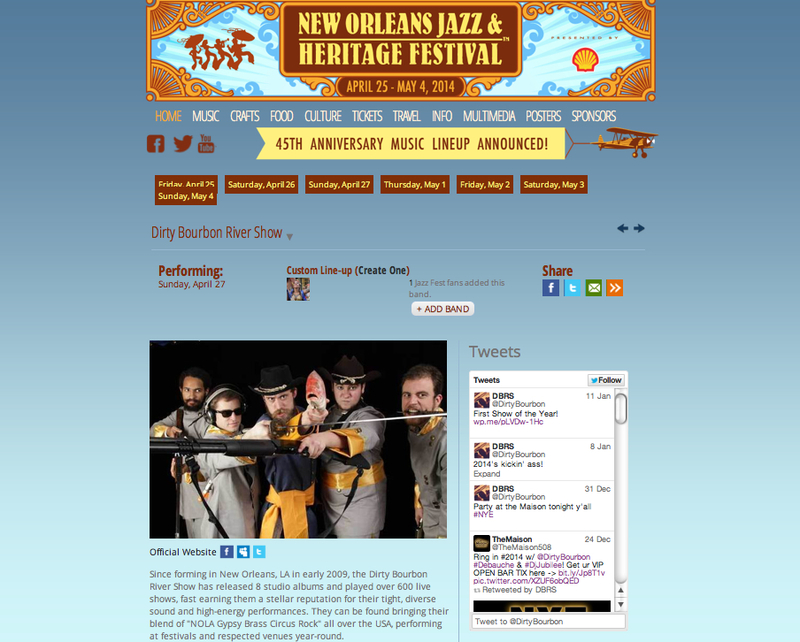 It is our great honor to announce our debut performance at this year’s New Orleans Jazz & Heritage Festival! This was a major goal for us this year, and it’s been confirmed that we’ll be playing on April 27th along with an impressive roster of local, national, and international greats, including the legendary Eric Clapton! I’d love to get into the countless, amazing acts that will be gracing this festival’s stages during its seven jam-packed days, but I think the website HERE can do a much better job. For those of you that have attended the New Orleans Jazz Fest before, you know what to expect… for those of you that haven’t, this may be an ideal time to see what the city can really offer! Make sure to click HERE to add us to your personalized schedule for the fest, if you can make it. Again, we’re so excited to be performing at one of the nation’s greatest music festivals right in our own backyard! Make sure to keep checking the site as more details emerge for this one. 2014 is going to be a hell of a year! Your favorite Detroit area flop house owners will be there. Got our hotel booked.